Basic science isn’t so basic. Materials for a single anatomy class span thousands of pages, which contain hundreds of learning objectives. Furthermore, beyond the sheer volume of content there is a tremendous amount of pressure to pass the test. Unlike other tests, the board exam tests overall knowledge, not just the ability to recite facts and figures. Students must learn the content as well as learn strategies and techniques needed to pass the exam. A common strategy in beating any standardized test is to answer questions where you are practiced, confident, or considered an expert, so it is essential that students know the material well. 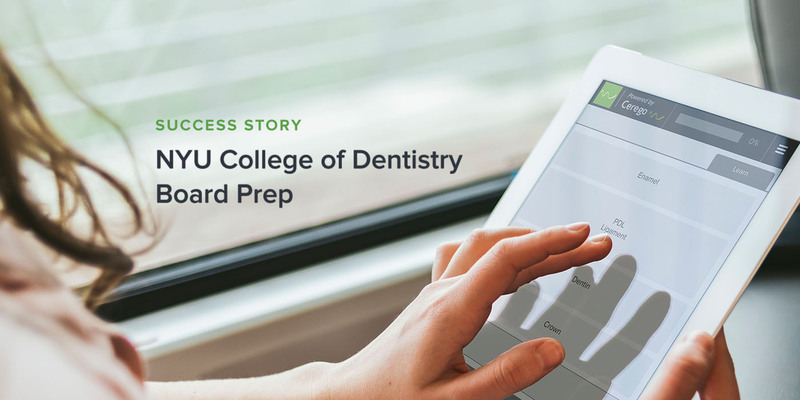 With a large class of approximately 350 students, and 32 groups, Dr. Elena Cunningham, a professor at the NYU College of Dentistry, knew she needed an effective and efficient test prep solution to support each and every student during their review process. The solution needed to scale and it needed to work. Cerego was the perfect way to help students refresh their memory of first-year course material, and ensure mastery. Dr. Cunningham selected the Cerego personalized learning platform to bring foundational knowledge to the forefront. Cerego’s learning engine applied a powerful combination of two of the most robust findings in Learning Science—Distributed Learning and Retrieval Practice— and kept track of each student’s interactions with the material, adapting the review schedule and learning experience to each individual user. This enabled more efficient, effective learning. The platform made it easy for Dr. Cunningham and team to add course material to Cerego and to monitor student progress throughout the review period. Cerego features, such as levels and goals, easily mapped to course curriculum and questions on the board exam. 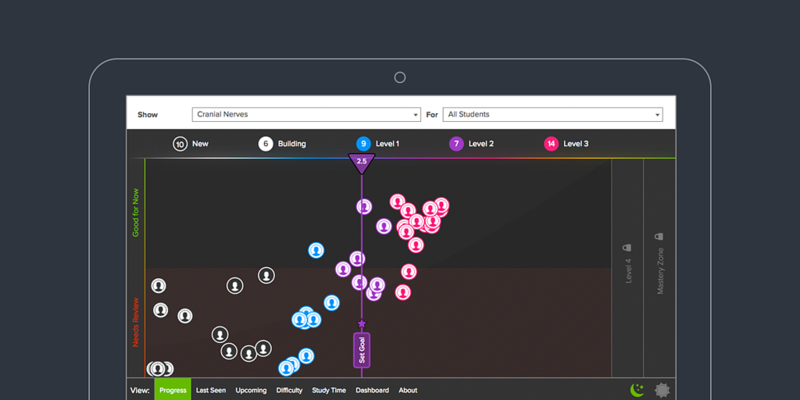 Cerego Insights and analytic tools shed light on previously unknown information about student progress. With Cerego, faculty could see where an individual student stood against the rest of the class, as well as how they were doing with the material. Cerego proved very effective in helping NYU Dental students demonstrate knowledge and mastery of anatomy. The successful pilot program, focusing on the review of gross anatomy of the head and neck to prepare for board exams, indicated a clear path to learning. Year two saw similar results for NYU College of Dentistry students, and today the school is exploring ways to make personalized learning accessible all NYU students, globally. In 2017 Dr. Cunningham was presented with a Distinguished Teaching Award, an annual award given to outstanding full-time faculty members in recognition that one of NYU's primary institutional priorities, along with research, is exceptional teaching inside and outside of the classroom setting. It highlights New York University's commitment to teaching excellence and is given annually to selected outstanding members of the faculty. The NYU College of Dentistry (NYUCD) is the third oldest and the largest dental school in the United States, educating nearly eight percent of United States dentists annually. NYUCD has nearly 1,900 students in its various pre- and postdoctoral programs from all over the United States and 40 foreign countries. NYUCD offers specialty training in the dental specialty areas of: endodontics, oral and maxillofacial surgery, orthodontics, pediatric dentistry, periodontics, and prosthodontics, as well as in implant dentistry; conducts an extensive continuing education program; and is home to the only dental school-affiliated dental hygiene program in New York State.